Penhallow's unconventional, underage hero Percy stumbles into World War II in this rich and wry meditation on the power of movies and imagination. 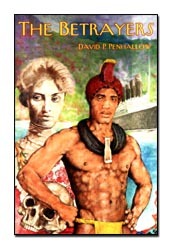 Penhallow is a fine storyteller and a wicked wit. 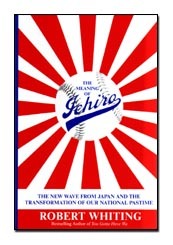 Whiting turns the tables on his earlier "You Gotta Have Wa" and this time examines the effect Japanese players are having on the national pastime on this side of the Pacific. The title refers to lightning-fast right fielder Ichiro Suzuki of the Seattle Mariners, perhaps the sport's best all-around player. 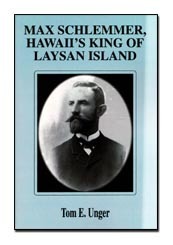 "Max Schlemmer, Hawaii's King of Laysan Island"
You can't make stuff like this up. A century ago, Unger's grandfather -- a dreamer on a grand scale -- attempted to create an independent community on a far-flung atoll only a mile square and covered with birds. Both well-documented and well-written, this book proves the worth of the print-on-demand process and should inspire others to document family histories. 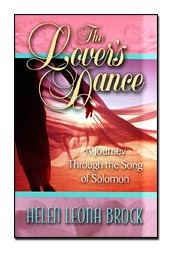 At a dark time in her life, the Lord spake upon Honolulu minister Brock and bid her study upon the Song of Solomon, and she writes of thus, and it is good and worthy. Hallelujah! 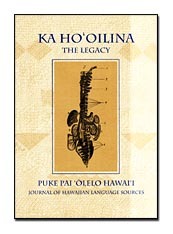 "Ka Ho'oilina -- The Legacy"
This interesting reprint series returns, the latest edition including government notices and newspaper clippings from 1834. 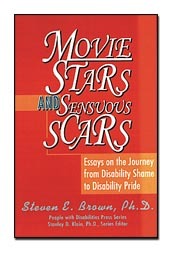 "Movie Stars and Sensuous Scars"
by Stephen E. Brown, Ph.D. Nothing radicalizes like experience, and UH historian Brown's journey into the disability-rights movement is captured in this fine series of collected essays.